We are all acquainted with the concept of “Generations”, and are familiar with some of the names given to various recent generations such as the Baby Boomers, the X Generation, and the Millennial Generation. People generally agree that different generational groups develop defining characteristics which distinguish them from other generations. We are of course aware that each person is a unique individual, and that no generational generalization applies completely or universally to any member of a group. However, when characteristics are aggregated and analyzed, we can observe that each new generation has common traits. 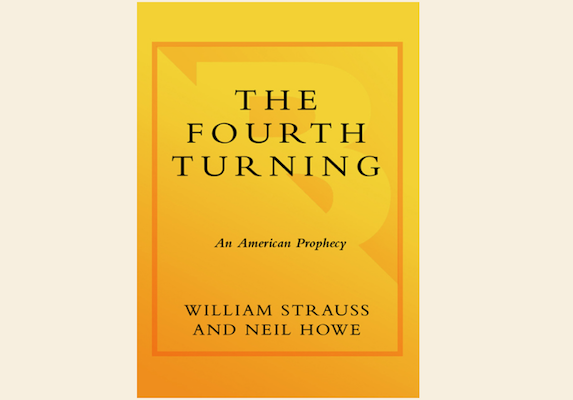 In 1997, William Strauss and Neil Howe published the book “The Fourth Turning, An American Prophecy” to summarize their research into generations. I sought out this book to better understand the scientific basis for generational traits, and also to see if this research could be applied to the professional and business endeavors, strategy, management, and decision-making. High: an upbeat era of strengthening institutions and weakening individualism, when a new civic order implants and the old values regime decays (the American High, 1946 – 1964, witnessed America’s ascendancy as a global superpower). Awakening: a passionate era of spiritual upheaval, when the civic order comes under attack from a new values regime (the Consciousness Revolution, 1964 – 1984, began with urban riots, Vietnam War protests, and gave rise to feminist, environmental, and black power movements, leading to New Age lifestyles and spiritual rebirth). Unraveling: a downcast era of strengthening individualism and weakening institutions, when the old civic order decays and the new values regime implants (the Culture Wars, 1984 – 2005?, opened with “Morning in America” individualism, but drifted towards pessimism, widening inequality, pervasive distrust of institutions and leaders, and a debased popular culture). Crisis: a decisive era of secular upheaval, when the values regime propels the replacement of the old civic order with a new one (the previous saeculum Crisis was the Great Depression and WW II, 1929 – 1946, which began with the Black Tuesday stock-market crash and culminated with America’s post war demobilization). Artist: born in the Crisis turning, and enters young adulthood in a High (the Silent Generation, born 1925 – 1942, grew up as the suffocated children of war and depression, coming of age too late to be war heroes, became risk-averse technicians and professionals, and civil rights advocates). Prophet: born during the High turning (the current Boom Generation, born 1943 – 1960, were raised with Dr. Spock permissiveness, suburban conformism, and Sputnik-era schooling. Many became yuppies with mainstream careers but perfectionist lifestyles. Nomad: born in an Awakening turning (the current 13th Generation, born 1961 – 1981, survived a hurried childhood of diverse, open classrooms, and a shift from G to R movie ratings. Coming of age in a sexual battleground of AIDS and blighted courtship rituals, they date and marry cautiously. They embrace risk and prefer free agency over loyal corporate careers. Hero: born in an Unraveling, and is entering young adulthood in a Crisis turning (the previous saeculum Heroes were the GI generation of WW II war heroes born 1901 – 1924. The current Millennial Generation, born 1982 to 2002?, first arrived when “Baby on Board” signs appeared, active parenting, child safety, and child-friendly havens gained renewed importance, and best selling books taught virtues and values.). The book goes into extraordinary detail defining, explaining, and defending the concept of the saeculum, the four turnings, and the four generations. The extensive detail does lend scientific legitimacy to the technical concepts. It is clear that a great deal of exhaustive research underpin both the historical observations of cyclical turnings, and the technical and philosophical mechanisms which give rise to historical cyclicality. Unfortunately, this same exhaustive data makes this book at times ploddingly difficult to read and occasionally unnecessarily repetitive. Most interestingly, the authors predict that the coming Crisis turning will begin around the year 2005, climax around 2020, and reach the crisis resolution around 2026. The authors have no prediction for what the crisis will entail; possibilities range from a nuclear exchange, incurable plagues, terrorist anarchy, or high-tech dictatorship. The authors also offer no predictions as to whether America will survive victorious as in the case of the previous WW II crisis, or if America might be wiped off the map, ground into submission, or worse. The Fourth Turning is certainly a very interesting and informative book for those with the patience to endure a great deal of academic and historical detail to discover the fundamental concepts of the saeculum, cyclical turnings, and generations.